August Polish Pickup is just around the corner and this month's theme is "Musicals"! I don't like all musicals indiscriminately, but the ones that I do like, I love! Savannah Lacquer is joining in the Polish Pickup for the first time and the inspiration for this shade comes from Saturday Night Fever. Who doesn't love them some BeeGees? Let's take a look..
Hello my lovely Society Sisters! Today I have six new shades from piCture pOlish, four of which are collaboration shades with some really talented ladies! I absolutely love how all six of these look together, and they're all beautiful on their own as well. I knew I had to buy them all! Let's get to it..
Hello lovelies! 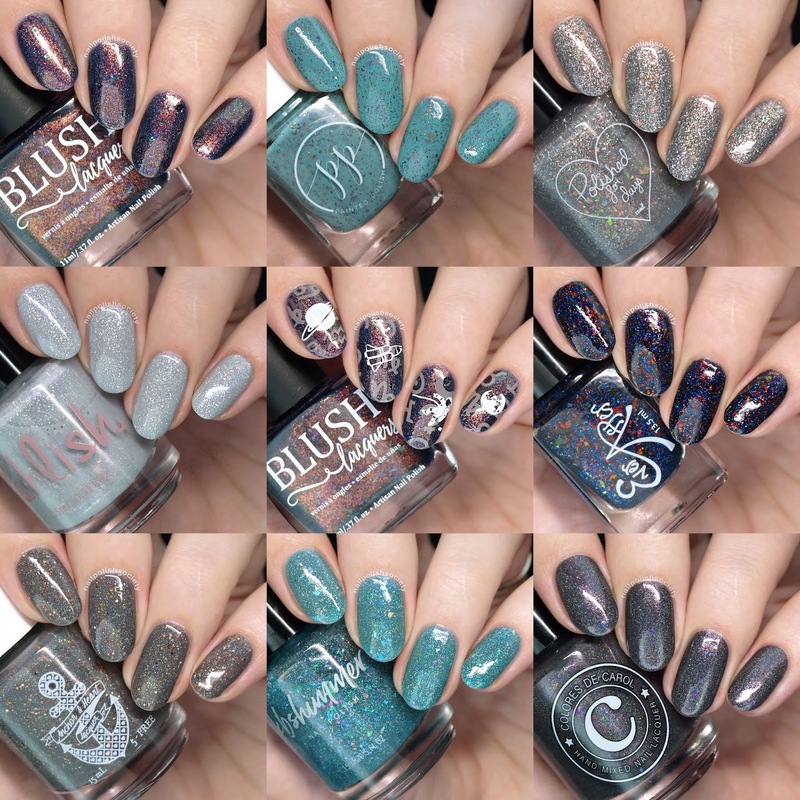 This month's theme for the Polish Pick Up is "Fan Favorites" and some amazing polishes are making a return! The PPU powers that be are taking this month off, so each maker is making available a previous shade that was voted on by their fans to be brought back one more time. Some of these you have seen on my blog before, and some are ones that I previously purchased but haven't shown off yet.